Looking for an Ionia divorce attorney? The divorce attorneys at Krupp Law Offices P.C practice in Ionia Michigan and Ionia County. 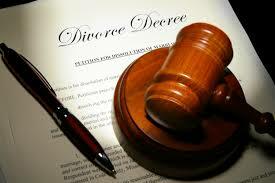 We.can answer your divorce questions and provide excellent representation with reasonable fees. If you are facing a separation or divorce, a good divorce attorney is a requirement! If you are considering filing for divorce or your spouse has threatened to file for divorce, you should contact Krupp Law Offices PC. We can give you good advice you need to get you through a difficult period of transition. We will aggressively represent you in Ionia court. With 85 years of experience practicing law in Ionia Michigan, we understand divorce and child custody. We will help you define and articulate their goals and give you realistic expectations. Our divorce attorneys have over 85 years of trial experience with extensive divorce trial experience. We know Ionia County Courts and Friend of the Court. Considering the seriousness of a divorce, it is extremely important to retain the legal services of an experienced divorce attorneys that know Ionia County and West Michigan.